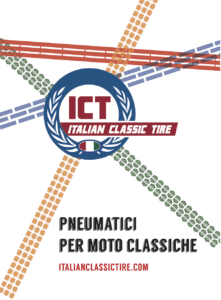 Italian Classic Tires create the right tire for your vintage Italian motorcycle. All of our products are E-Marked and conform to the highest European ECE standards for safety and confidence on the road. Our compounds ensure excellent grip and our rigid carcass gives a sure footed feel. Let ICT give new life to your vintage ride.